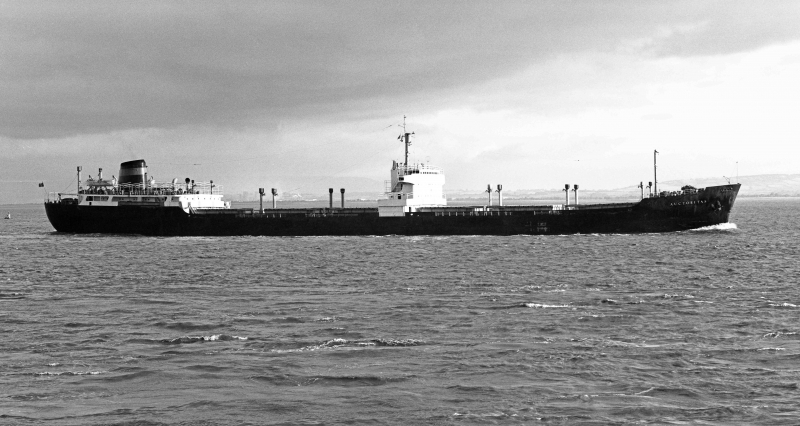 AUCTORITAS is seen passing Portishead, inbound for Avonmouth from Lakehead Harbour with a cargo of grain, on the early morning tide of Saturday 8th July 1967. Built at Taranto in 1959 she was successfully operated by Alberto Ravano and his sons until sold for breaking in 1979, finally sailing from Cartagena on 12th May for La Spezia. This photograph had accompanied an article on Alberto Ravano's fleet development which was published in the November 2016 edition of Shipping Today and Yesterday magazine. Ci sono 218791 foto totali con 139922 commenti - Utenti registrati 5749.